Greece's Safe Bulkers, Inc. has set the price of its public offering offering of shares. The Company says it plans to use the net proceeds of the public offering to fund its newbuilding program and for other general corporate purposes, which may include repayment of indebtedness. The public offering of 2,800,000 shares of its 8.00% Series D Cumulative Redeemable Perpetual Preferred Shares, par value $0.01 per share, liquidation preference $25.00 per share (the “Series D Preferred Shares”) was priced at $25.00 per share. The offering is of Series C Cumulative Redeemable Perpetual Preferred Stock, par value $0.0001 per share, liquidation preference $25.00 per share. In connection with the offering, the Company intends to grant the underwriters a 30-day option to purchase additional shares of the Series C Preferred Stock. Following the offering, the Company intends to file an application to list the Series C Preferred Stock on the New York Stock Exchange. Morgan Stanley & Co. LLC, UBS Securities LLC and Credit Suisse Securities (USA) LLC are acting as joint book-running managers of the offering, which will be made under an effective shelf registration statement. Barclays Capital Inc., Deutsche Bank Securities Inc. and J.P. Morgan Securities LLC are acting as co-managers. 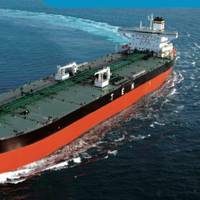 About Costamare Inc. Costamare Inc.
Monaco-based Scorpio Tankers Inc.intends to offer and sell 20,000,000 shares of its common stock in an underwritten public offering. The net proceeds of this offering are expected to be used for product tanker vessel and LPG carrier acquisitions, working capital and other general corporate purposes. UBS Securities LLC is acting as sole book-running manager in the offering, RS Platou Markets AS is acting as Joint Lead Manager and Global Hunter Securities, LLC is acting as Co-Manager. The Company also intends to grant the underwriters a 30-day option to purchase additional shares of common stock representing 15% of the offered shares. A prospectus supplement related to the offering will be filed with the U.S.
Intelsat S.A. (formerly known as Intelsat Global Holdings S.A.) announced the pricing of its initial public offering of 19,323,672 common shares at a price of $18.00 per share and concurrent public offering of 3,000,000 Series A mandatory convertible junior non-voting preferred shares (the “Series A preferred shares”) at a price of $50.00 per share. On the mandatory conversion date, May 1, 2016, each Series A preferred share, unless previously converted, will automatically convert into common shares. The Series A preferred shares will have a 5.75% dividend rate and a liquidation preference of $50.00 per share. The Company has granted the underwriters in the initial public offering of common shares a 30-day option to purchase up to an additional 2,898,550 common shares. American Commercial Lines LLC (ACL) has emerged from Chapter 11 protection pursuant to the Plan of Reorganization approved on December 30, 2004 by the United States Bankruptcy Court of Southern Indiana, New Albany Division. Under the terms of the Plan of Reorganization, ACL LLC’s emergence from bankruptcy became effective on January 11, 2005. Equity in ACL LLC was transferred to a new parent company, American Commercial Lines Inc. (“ACL”), which will transfer shares to the holders of approximately $278 million of pre-petition bonds and other secured creditors. On January 13, 2005, ACL renewed approximately $364 million of secured financing with JPMorgan Chase Bank N.A. as Agent for the pre-petition secured lenders. Bank of America, N.A. Inc. (NYSE:OSG), filed a registration statement with the Securities and Exchange Commission for a proposedinitial public offering of its common stock. Double Hull Tankers, Inc. and to time charter them back to other subsidiaries of OSG. UBS Investment Bank and Merrill Lynch & Co. are serving as joint book-running managers of the offering. A copy of the prospectus relating to these securities may be obtained, when available, from: UBS Securities LLC, Attn: Prospectus Department, 299 Park Avenue, 25th Floor, New York, NY 10171 or Merrill Lynch & Co., 4 World Financial Center, New York, NY 10080. American Commercial Lines Inc. (NASDAQ: ACLI) announced the closing of the initial public offering of 9,487,500 shares of its common stock at a price to the public of $21.00 per share. Of the shares sold in the offering, 7,500,000 shares were sold by ACL and 1,987,500 shares were sold by a selling stockholder. The shares sold by the selling stockholder included 1,237,500 shares purchased pursuant to an option granted by the selling stockholder to the underwriters, which was exercised in full. Based on the public offering price of $21.00 per share and after deducting underwriting discounts and commissions, the net proceeds to the Company were approximately $146.5 million, and the aggregate net proceeds to the selling stockholder were approximately $38.8 million.